Wow, it’s been a wet, wild winter and I’ve been super impressed with the number of people who have embraced SUP during these cool, wet months! All those summer sessions have paid off and we now have a whole lot of stand up paddle addicts on the water getting mileage out of their new love of paddling!! We’ve been pretty active this winter with sessions still running including our Sunday afternoon stand up paddle tours that replaced Friday’s Twilight session. Pups on Sups also continues when weather permits and has become one of our most popular sessions! So well done everyone for getting out there and I can’t wait to reunite with the hibernators this summer – we’ve missed YOU! Many have also purchased their own boards and are now primed for new sup adventures! No matter which direction you go with your paddling it’s going to be a fantastic journey of challenges, exploration and a new level of health and well being! Bring on the summer season!!! New paddlers, new sessions and our growing SUP Tonic family! So what can you expect this SUP season? 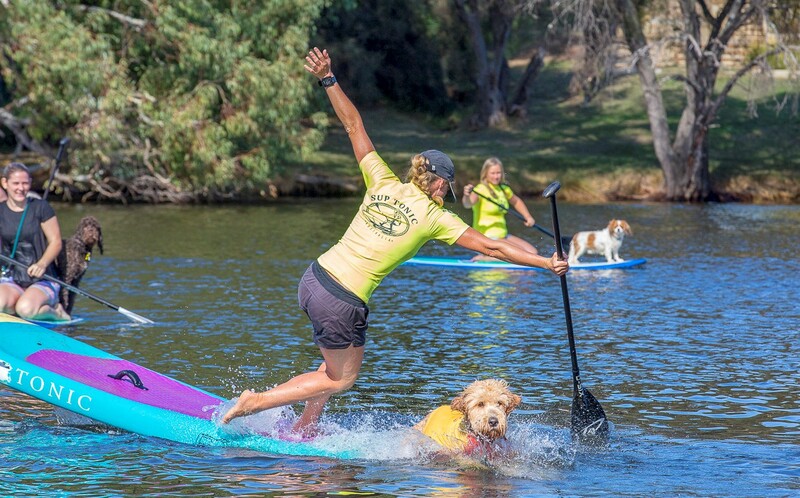 In addition to the weekend beginners classes, Friday’s twilight sessions and Pups on Sups, new programs are in the planning stages! It’s exciting and I can’t wait to announce what’s in store for you. What I can tell you NOW is that our focus is on YOU! We care about the well being of our community, healthy living and bringing some balance back into people’s lives. With the collaboration of some fabulous local businesses we aim to bring new initiatives and inspiration to benefit everyone! Till then folks take the opportunity during this crazy weather to rest, nurture and prepare for fun, sun and motivation as the sup season for 2018 – 2019 approaches!